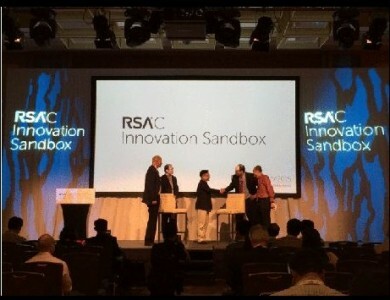 SINGAPORE: SODA, a Singapore-based startup was crowned as the most innovative start up at this year’s RSA Conference Asia Pacific & Japan Innovation Sandbox competition, which was held here. According to RSA, this Most Innovative Start Up competition aims to promote regional innovation and provide startup companies a platform to showcase cybersecurity solutions from around the region. SODA’s win was based on their capability to offer a comprehensive suite of web, desktop and mobile solutions (App, Chat, Box, Post) to make data security accessible to everyone through a cross-platform solution that can be white labeled for various functionalities to support business groups. It provides security infrastructure for mobile communications, offering encryption via a software layer or physical tokens. The app encrypts messages, calls, and email communications sent from the mobile device. The cloud-based file repository encrypts files in storage. A chat app encrypts messages sent between parties, even group chat messages. Essentially, organisations can use this technology to prevent data from being exposed and avoid damages. With this win, a representative from SODA will get to enjoy an all expenses paid trip to San Francisco, California, to attend next year’s edition of RSA Conference from February 29 to March 4, 2016. “Some of our key initial deployments and partnerships are in Asia. The opportunities for universal secure mobile interactions are huge, and we are looking forward to further success in the region as well as worldwide,” added Dr. Raphael (Rafi) Yahalom, Strategy and Worldwide Business Development of SODA. Why automated disaster recovery system is needed?